I love fusing fashion trends with home decor, especially to bring in any new season. Cable knit is all over the runways this fall. And sweaters occupy most clothing stores these days. With temperatures falling, we like to have warmth fill our homes. This can be true for more than the thermostat. A great way to welcome in fall and winter is to surround yourself with warm texture. Here are some products to do just that. 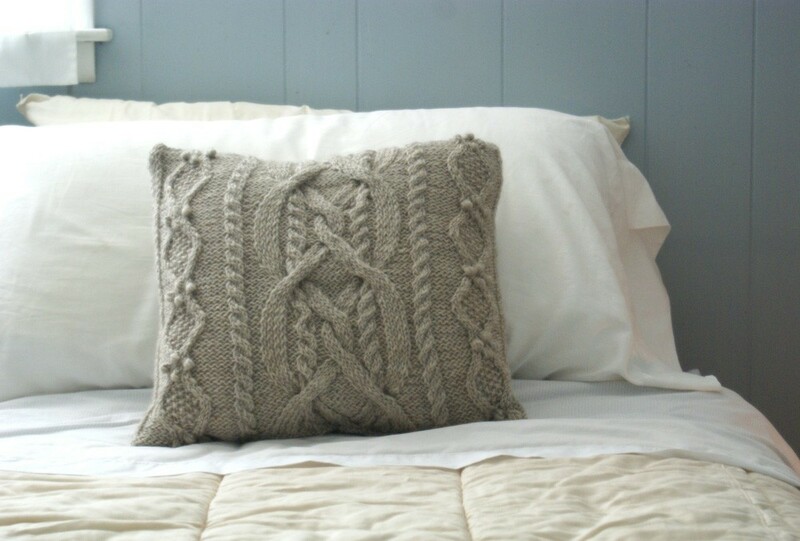 Italian Wool and Alpaca Knit Pillow in Ivory. Restoration Hardware, $79. This ottoman slipcover does a few things: It brings new life to a plain Ikea ottoman. It covers any possible stains. It adds an element of Americana, grandma-chic style into a room in need of warmth. Found on Etsy. This 8-pound piece can be used as a throw, bedspread or even a rug. 16" X 16" sham, at $69, it's less expensive than the one from Restoration Hardware. A great foot stool, $80. 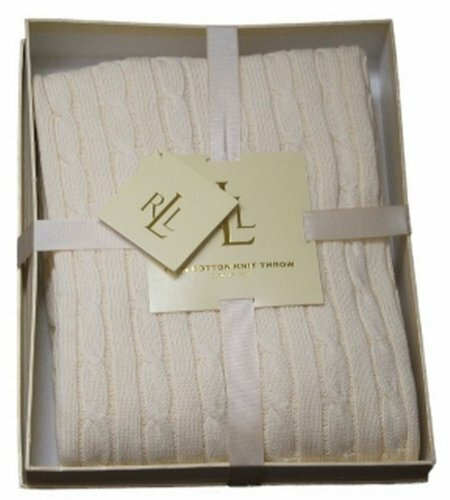 Cable knit is also being used as a motif on non-fabric materials. Letterpress coasters, $10 for the set of 4. This serving bowl would be a beautiful addition to a winter dinner party. It even has a 16K gold trim. Fern Living vase, 17.50 Euros. 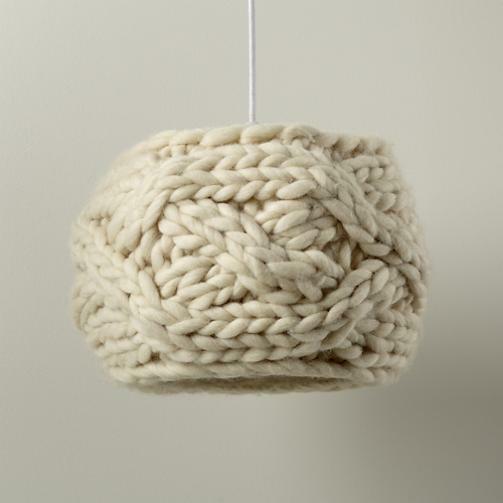 Cable knit in the world of lighting. Who knew? 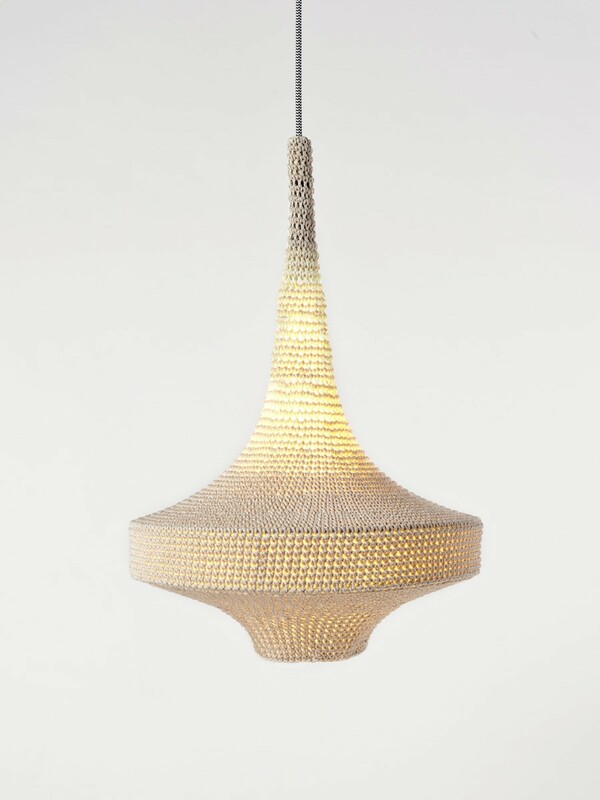 Even pendant lights. Might get a bit dusty, though. This would be precious over a crib. Land of Nod, $35. This "granny" chair comes in tons of colors. 450 Euros. The "Granny Armchair" is 1,080 Euros. This one's on the more avant-garde side. Eco First, $2,450. This is much more traditional. Eco First, $500. At $250, it isn't a steal. But definitely adds some quirk. Can be used over a sconce, or by itself. Something relatively cheap: Ursula Throw from Ikea, $29. Disclaimer: Most of the pieces featured are not pet-friendly. Cats, in particular, will love nothing more than to destroy intricate knit patterns. And dogs cannot be trusted with anything intricate! So, if you're not a pet owner, go to town with cable knit this season! And one day, may you be so blessed as to get a little fur ball of your own.